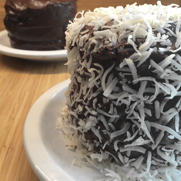 Home » Posts Tagged "Coconut"
I love starting my busy day with a solid nutritional base. 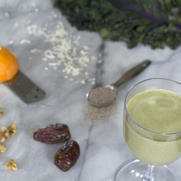 This protein shake is bright and refreshing. 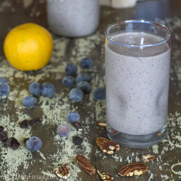 It’s a not overly sweetened drink that uses only whole foods and no added sugars, and is energy boosted with the addition of chia seeds and raw walnuts. You’ll also be getting a healthy dose of anti-oxidants, fiber, and anti-inflammatory benefits. 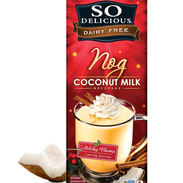 So Delicious Nog is rockin’ good stuff! 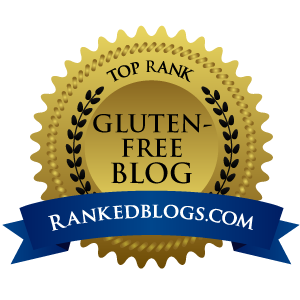 It’s gluten-free, vegan, soy-free, and non-GMO, making me one cheery holiday elf. A non eggnog believer turned Nog advocate! Let’s ring in the holidays with Nog, shall we? 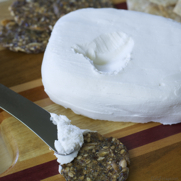 Let’s get cream cheese back into our gluten-free, dairy-free lifestyles! This how-to recipe is very simple. The hardest part is waiting for the culturing process and chilling time. Get your crackers ready! 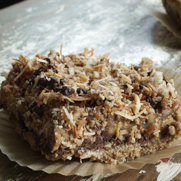 Once I made my Gluten-free, Dairy-free Orange Coconut Italian Biscotti, I just couldn’t resist turning it into a gluten-free, dairy-free crumb pie crust. It has the perfect flavors to complement the right fillings, such as a pumpkin custard or creamy chocolate pudding. 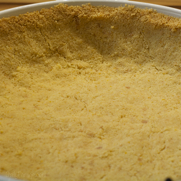 And with pie season coming (really it’s here already in my mind), there’s never a risk of having too many pie crust recipes. Don’t you agree? When your sweet tooth calls, simply grab a small piece of this dark chocolate smattered with tasty niblets. It makes your sweet tooth, and your taste buds, think you’re indulging a whole lot more than you really are. 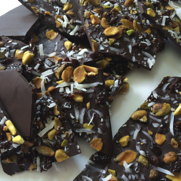 The saltiness and crunch from the pistachios, the sweet, nutty coconut, the richness of the dark chocolate, and the tang of the tart cherries create a flavor explosion all in one little bite. Sometimes a rich, sweet frosting is just more than you want, right? 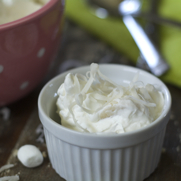 This is a very cool, refreshing whipped-cream-style topping. 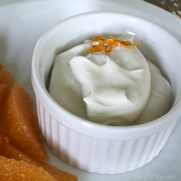 It is not overly sweet, has an orange essence, and brightens fruit or vegetable-based desserts quite nicely. Over your favorite berry cobbler or pie, this would spoon perfectly – and melt lusciously – into warmed servings. And the orange zest makes the fresh, bright flavor the perfect complement to pumpkin pie. Ever take a sip or a bite of something expecting it to taste a certain, preconceived way, and then it doesn’t? That’s what happened here. And it was a surprising – yet still very pleasant – surprise! 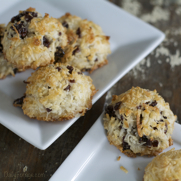 This macaroon recipe is the epitome of all-delicious characteristics – chewy center, textured composition, and crisp-toasted shredded coconut strands, with tartness of dried cherries, amaretto, and almond essence. A dynamic flavor explosion! Yes! 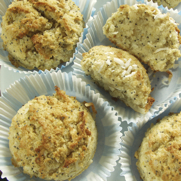 A kicked up macaroon recipe free of gluten, dairy, and soy. These cookies have bright, rich flavor and a chewy texture. Christmas goodness that really is too delicious to share … but it is the right thing to do at the holidays. Since I know there are so many of us out there who love the combo of ginger, pumpkin, and chocolate (because chocolate is tasty with just about anything), I thought I’d throw them all together and create one delicious YUM treat! I must warn you though, these are really rich … really rich. 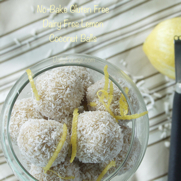 Our No-Bake Gluten Free Dairy Free Lemon Coconut Balls are sweet and tart, creamy and textured. Prepare this recipe for a brightly flavored, refreshing summertime treat or as a party dessert paired with a lemon vodka martini. 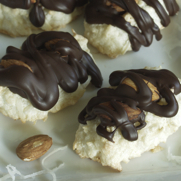 This gluten-free, dairy-free coconut macaroons recipe tastes just like the original Almond Joy candy bars. They’re chewy, sweet, and crunchy, with just the right amount of chocolate drizzled over them. 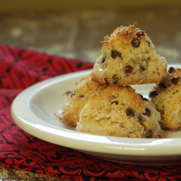 Whether you’re craving a cookie or a candy bar, this easy recipe will satisfy your taste buds.